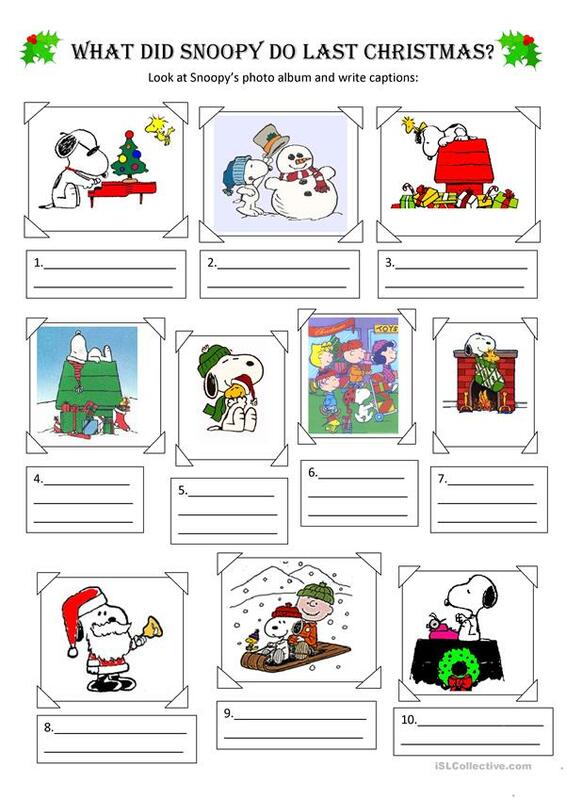 What did Snoopy do last Christmas? The above printable, downloadable handout is a great resource for high school students, elementary school students and adults at Elementary (A1), Pre-intermediate (A2), Intermediate (B1) and Upper-intermediate (B2) level. It is great for revising Past simple tense in English, and is useful for honing your pupils' Writing skills. It centers around the topic and words of Christmas.